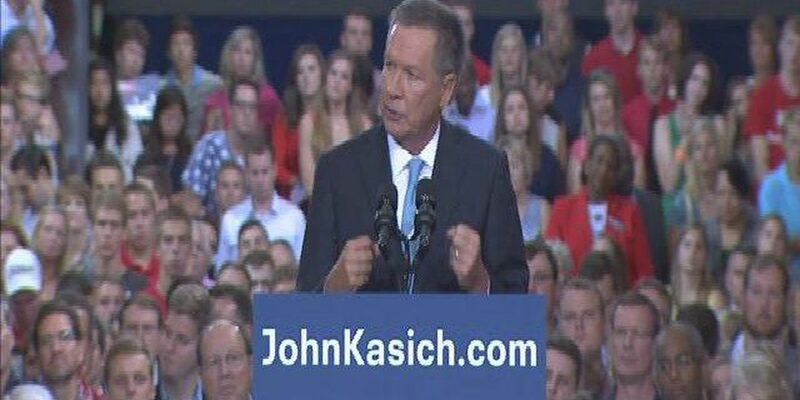 COLUMBUS, OH (WOIO) - Ohio Gov. John Kasich is not nearly as well-known as other Republican presidential candidates. According to polls, about 2 percent of Republicans back him. Critics say he has to make his mark by finding a way to be among the top 10 candidates for the first Republican debate in Cleveland next month. Has Kasich entered the race too late to have a fighting chance? "There's not a chance," says Dr. Jason Johnson. Hiram College Political Science Professor Dr. Jason Johnson says even if Kasich tripled his percentage points in the polls, he doesn't believe he'll make the debate in his own backyard. Johnson says the Buckeye State's governor waited too long to enter the race. "Say something fantastic, entertaining, engaging, brilliant. That's going to bring media attention to him and move him to the top 10. I just don't see it happening," explains Johnson. But a chief strategist for George W. Bush's 2004 re-election campaign says Kasich has a legitimate shot at winning the nomination if he lands a spot in that debate. No candidate since John F. Kennedy has won the White House without winning Ohio. The first Republican debate is set for Aug. 6 in Cleveland. Find more about Kasich's announcement here.